This campaign has concluded, but if you would like to learn more about the Zeta Chapter of Theta Tau, please visit www.kuthetatau.org. Theta Tau is the nation’s foremost professional engineering fraternity with chapters across the country and alumni all over the world. The purpose of Theta Tau is to develop and maintain a high standard of professional interest among its members, and to unite them in a strong bond of fraternal fellowship. Our co-ed organization focuses on creating a culture of brotherhood, relationships, and connections. Theta Tau is a unique organization because the brotherhood does not stop after graduation – joining our fraternity is a lifelong commitment. The fraternity’s regional conferences are the highlight of each semester for many of our members and this spring, the Zeta Chapter will be hosting this event! 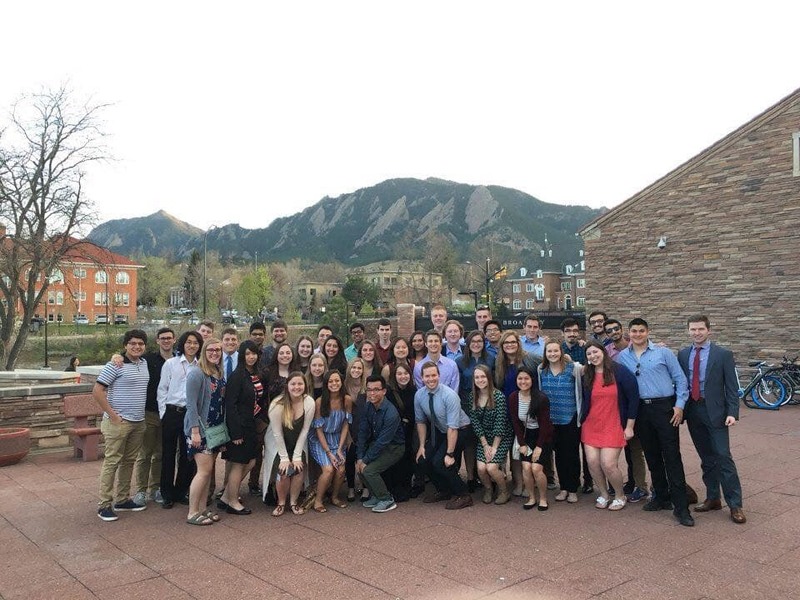 Nearly 200 engineering students from the nine chapters that make up the Central Region will be traveling to Lawrence for a weekend full of breakout sessions, keynote speakers, a service event, a formal dinner, and a social event. The conference will be an opportunity for members from the Zeta chapter to grow with each other and with members from other chapters in the region. The ideas shared and knowledge taken away from the conference will have a lasting impact on each member that attends, every chapter in the region, and their engineering schools! The cost to host our regional conference is significant, but with your help, we can ensure that our attendees will build the skills to improve their chapters and their university’s engineering community and develop that strong bond with brothers from other chapters. 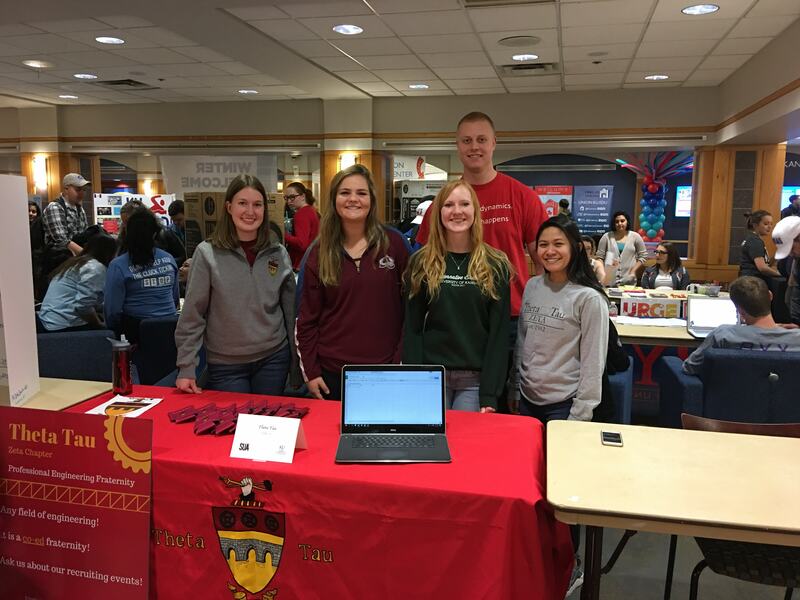 Make your gift today to help KU students provide a positive and impactful experience at Theta Tau's spring 2018 Central Region conference! The original name for the Theta Tau was The Society of Hammer and Tongs, but it was changed to Theta Tau at the national convention in 1911. Gifts of any size get us one step closer to our goal! Of the eight national regions, the Zeta Chapter of Theta Tau is in the Central National Region which contains nine chapters across six states. Help create an experience for students in our region to gather to improve themselves and their chapters! Professional Development, Service, and Brotherhood are the three core pillars of Theta Tau, and they guide the fraternity’s events and values. Your gift will help ensure lasting impacts on our engineering community! The Zeta Chapter of Theta Tau has initiated over 1,200 members and has over 1,100 alumni across the United States. Your support will help us create lasting relationships among our members and with our peers across the country! The University of Kansas Zeta Chapter was the 5th chapter established nationally, and it is the oldest continually-operated chapter in the region. Help amplify the impact that our organization can have on spring 2018 regional conference attendees by making a gift today!